Lisa Fulton along with sons Jake, Jared and John Lloyd and ranch manager Rob Juker presented an outstanding set of horses for the Fulton Family Performance Horse Sale. The Pavilion at the Cherry County Fairgrounds in Valentine, NE was filled to capacity with an enthusiastic crowd of buyers, for this very successful sale. 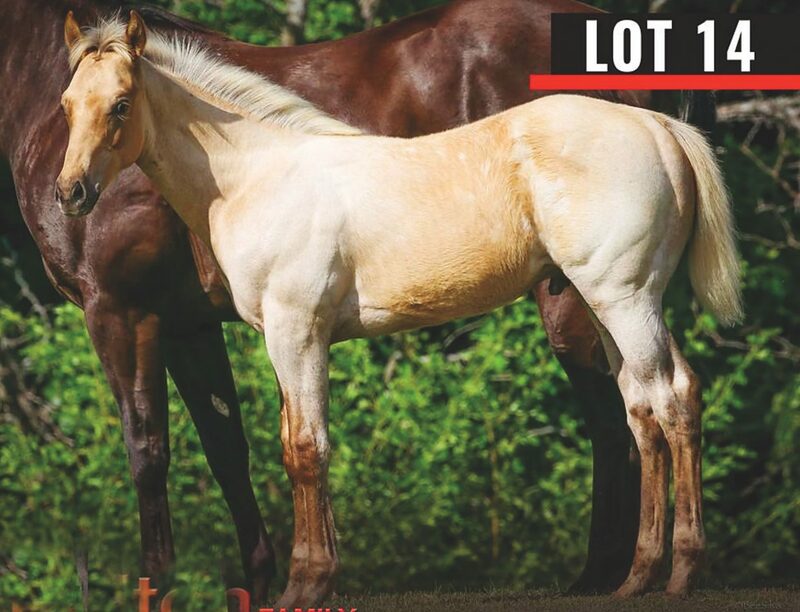 The top selling horse on the day was a 2017 Palomino stud colt sired by A Streak of Fling. Lot 14, Night Fling is out of a Frenchmans Guy x Dash Thru Traffic mare. This consignment from Michell Hoffman-Darling sold for $30,000 to Kathleen Collier, Texas. 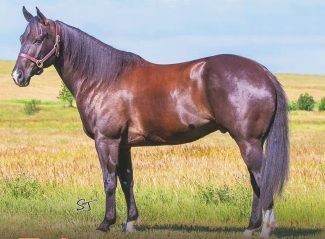 Lot 41, Johni Chex, a 2009 black gelding sired by Chex Can Shur Doc x Chex Can Too, Doc Shur San and out of a Whisper In Scotch x Scotch Bar Time mare from Chad and Faye Pelster sold to Baily Young, Wyoming for $25,000. Lot 50, Rockstar By Design, a 2016 brown stallion sired by Slick By Design out of a A Streak of Fling mare from Jason Martin and Charlie Cole sold to Robert Bashford, Arizona, for $25,000. Lot 1, Astreakin TJ, a 2015 Bay Roan mare out of A Streak of Fling and Frenchmans Guy mare from the Fulton Family sold for $21,000 to Jim Gilman, South Dakota. 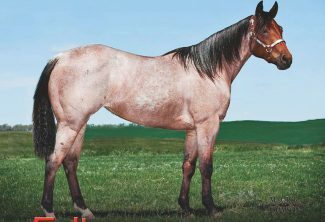 Lot 55, Shes Really Quick, a 2001 bay mare sired by Bully Bullion an out of a Royal Quick Dash mare from the Rider Family sold to Robert Bashford, Texas, for $19,000. 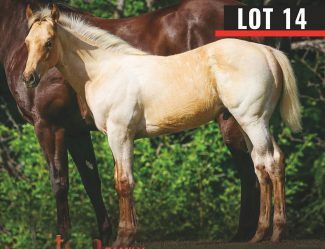 Lot 13, Queen Flingtima, a 2017 bay roan filly sired by A Steak of Fling our of a Dash Ta Fame mare from the Fulton Family sold to Corny and Maria Wiebe, Canada for $18,500. 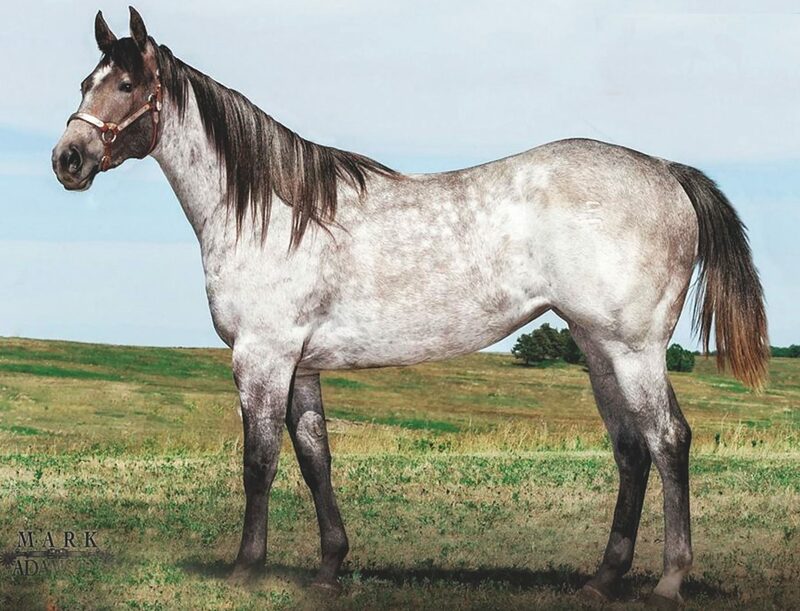 Lot 22, Streakinflash Lady, a 2015 grey mare sired by CS Flashlight out of a A Streak of Fling mare from Fulton's sold to Joe and Michelle Stobbe, Nebraska, for $18,000. Lot 34, Easanon Tess, a 2013 sorrel mare sired by CS Flashlight out of an El Paso Del Norte mare from Wade and Corina Berry sold to Shyann Lucas, Wyoming, for $18,000.